A handy wallet with enough room for a full week of medication with labelled compartments. The compartments can be removed and placed in a purse or backpack making it convenient for daily outings or travel. 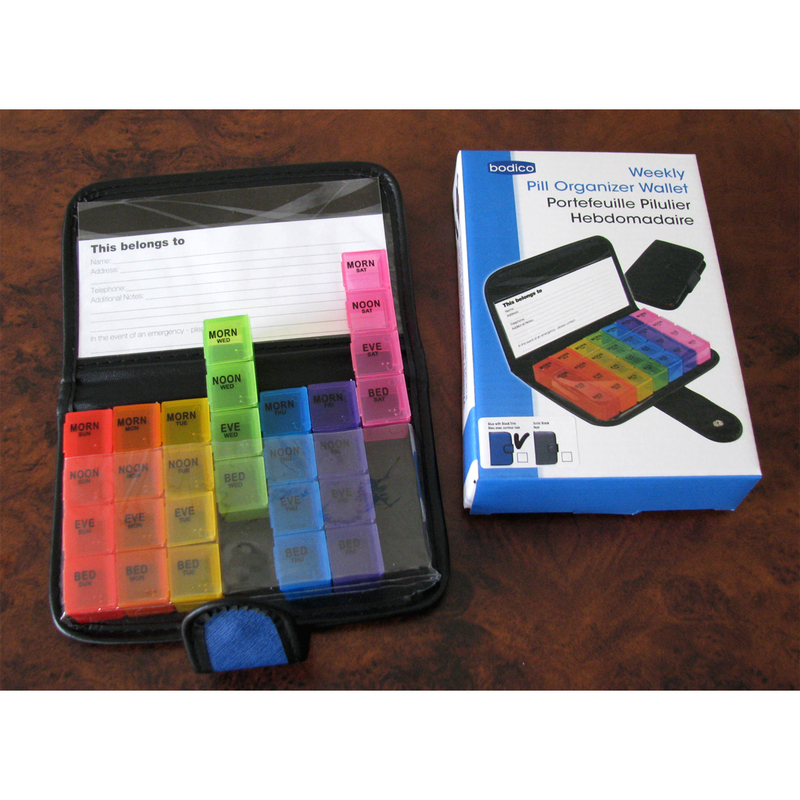 Designed to be an attractive and discreet way to organize and carry pills and capsules. Wallet measures 7.5 x 5 inches (19 x 12.7 cm) and 1.5 inch (3.8 cm) thick. Each compartment measures 0.875 x 0.875 x 0.75 inches deep (2.2 x 2.2 x 1.9 cm deep). Blue case with black trim.